It sure feels like summer is finishing sooner than expected! As the seasons change, we hope our patients appreciate our updates to the practice, both in new treatments and new faces! For Volume III, we’re excited to introduce you all to the newest addition of our team, Dr. Trinh Vo! Furthermore, patients who are experiencing tooth sensitivity but can’t find a solution will want to take advantage of our newest treatment at the practice. Before you know it, you’ll be eating ice cream and drinking hot coffee without worry! With these new additions, you can have more options to restore your oral health, both via treatment and the expertise of a veteran of providing high-quality dental care! If you’ve tried to schedule an appointment recently, you’ve probably found out that Dr. Herr and Dr. Luccio are quite busy over the next few weeks. To keep providing our patients the care they need, we realized we had to expand our team if we were going to expand our hours, such as our late evening appointments, for example. 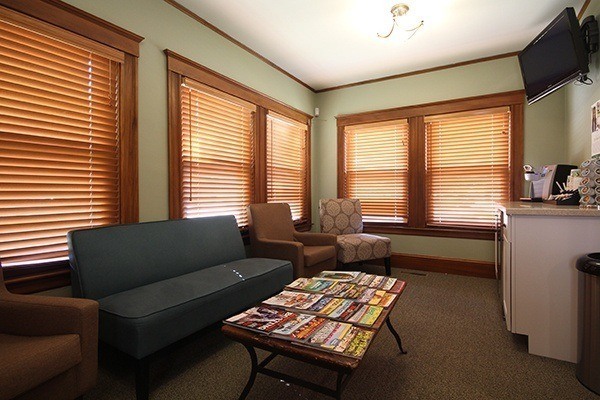 We also knew we wanted a true restorative specialist who could create a more specialized experience in the office, as well as provide more treatment options for patients. That’s where Dr. Vo comes in. We hope that after taking to time to learn more about her, you’ll feel inclined to start a friendly conversation during your visit at Capron Park! As a child, Dr. Vo hated her dental office, yet she always knew that she wanted to pursue healthcare as a career. Along with choosing a career that allows her to work with her hands, she always had the deep desire to give back to her community, which for her is Attleboro, her hometown. It all started when she went to the VA hospital near her. Her and her friend visited because her friend’s father was a periodontist. While she was set on becoming a dentist at that time, she didn’t realize she would join the Army until speaking with him, as well as becoming his mentee. 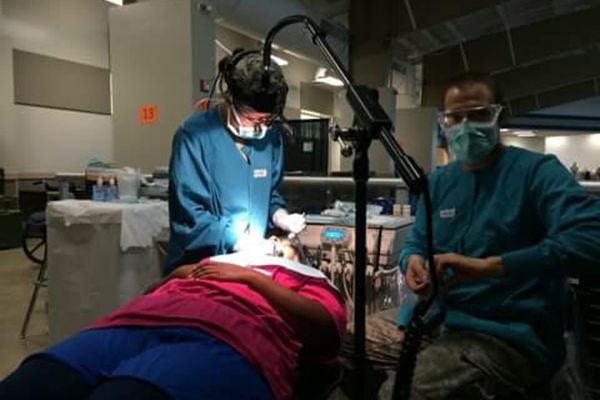 She decided that providing dental care was the perfect way to give back to the community and her fellow, hard-working service members. Dr. Vo understands that a smile is everything. To her, providing care is not just about treating the tooth itself, but also the person sitting in the dental chair. It’s not about making money off of people, but rather building relationships with those who come in for care. One of her favorite things about dentistry is being able to make someone who’s miserable about their smile achieve happiness once again. 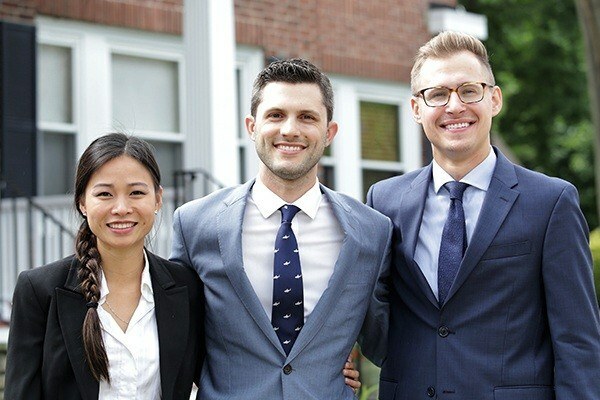 After graduating from Attleboro High School, Dr. Vo would attend Providence College to earn her Bachelor of Science in Biology and her Doctor of Dental Medicine degree from Boston University School of Dental Medicine. 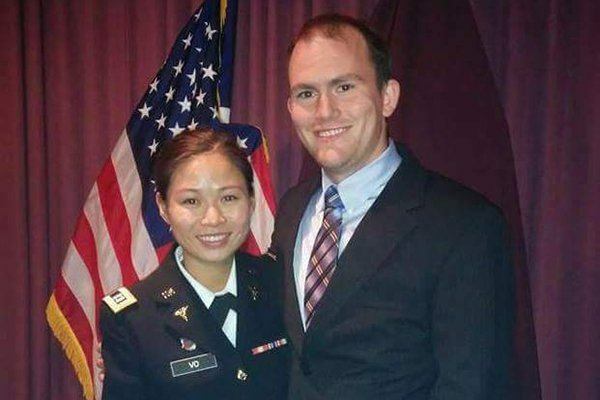 Instead of attending a typical hospital, she would enlist as a general dentist in the U.S. Army and complete an Advanced Education in General Dentistry residency program. She even got to join her husband at the time, who was an intelligence officer at Fort Lewis in Washington State. She would later be sent to Fort Bragg in North Carolina, where she spent four years teaching fellow dentists advanced education and training as well as providing care to all the servicemembers. Whether they were Air Force, Navy, or Army, she would relieve them of their dental woes and make them ready for deployment. For her efforts, Dr. Vo achieved the Army Commendation Award, two Army Achievement Awards, and the recognition as Best Junior Dental Provider two years in a row. She also earned the Meritorious Service Medal working as a provider for soldiers. 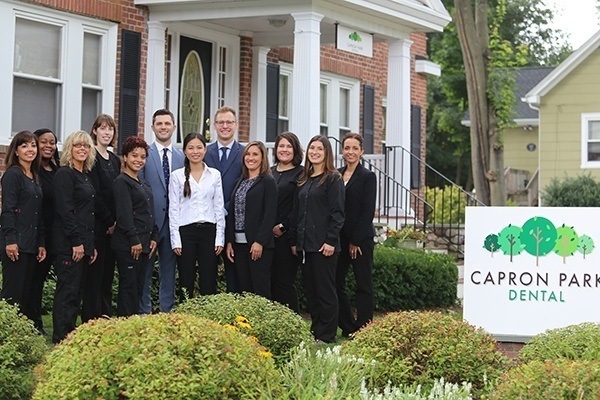 In the end, Dr. Vo is incredibly happy to be serving the same people she grew up with in the Attleboro community. She’s used to seeing high school friends’ parents, classmates, and teachers stop in to receive treatment. While she’ll serve anyone who needs care, seeing people she recognizes makes her feel right at home. 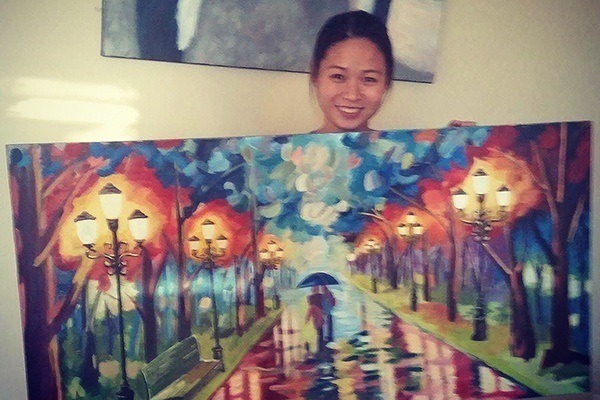 When she’s not providing care, you’ll likely catch Dr. Vo traveling around the world with her husband, painting, or spending time with her family. She didn’t get to travel much as a child, so she takes full advantage of her time off by hiking, rock climbing, and absorbing the culture of every place she visits. One of her favorite destinations was Peru and she hopes to see Greece next. When you visit Dr. Vo, you can expect care from someone who’s trying to remove the negative perception of dentistry so many people grew up with. 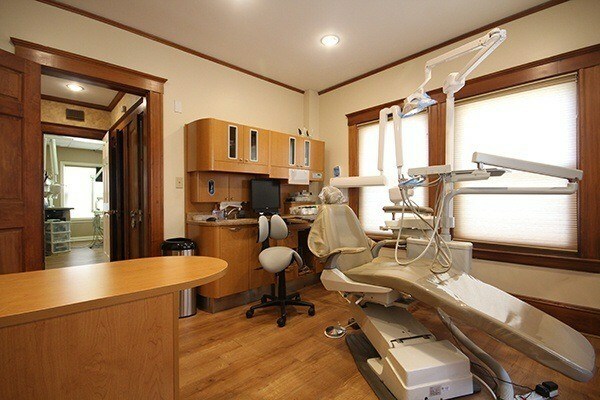 The next time you visit, she can’t wait to get your smile looking exactly the way you want and bring the joy you won’t get from a typical corporate dental office! Make Your Teeth Sensitivity Vanish! Speaking of providing relief, we understand that many patients come into the practice with teeth sensitivity. Even with regular brushing and diet changes, patients still can’t seem to enjoy the foods they used to or escape the discomfort associated with sensitivity. In fact, 1 out of 8 people have teeth sensitivity, according to the Journal of the American Dental Association. While there are many potential causes, people struggle to find a solution that works for them. This makes them believe they must settle for their sensitive teeth. That’s where Vanish XT Extended Contact Varnish comes in! If you’ve avoided the joys of eating an ice cream cone or drinking that hot cup of Dunkin Donuts coffee to start your day, you’ll want to try this treatment! The most common cause of sensitivity is simply worn-down tooth enamel. When you examine teeth past the enamel, you reach the dentin layer which contains microscopic tubules filled with nerve endings. When dentin begins losing its enamel layer, it exposes these nerve endings and becomes easily irritated. This condition is known as dentin hypersensitivity. Keep in mind that sensitivity is not only a result of the habits mentioned. You may also be experiencing it due to a more serious underlying problem. In most cases, the enamel is just worn-down and needs additional protection, however your sensitivity could also be caused by a cracked tooth, a cavity, or an infected or dying tooth root structure. In these cases, and depending on the specifics of your situation, we might recommend a dental filling, crown, or a root canal, which would provide long-lasting relief. We’ll make sure to confirm this via X-rays and close examination before proceeding. If we determine your tooth and root structures are otherwise healthy, then we’ll start discussing treatment using Vanish XT. How Does Vanish XT Work? Vanish XT is a site-specific, light-cured, fluoride-releasing coating that provides not only immediate relief, but long-lasting relief for dental hypersensitivity. Like a cured resin on top of wood, Vanish XT is a resin-modified glass ionomer that coats and protects tooth enamel from future erosion. Unlike other sensitivity treatments, Vanish XT delivers fluoride, calcium, and phosphate to your enamel. That means it releases elements and works to strengthen your enamel over time, not just protect it from external stimuli. This fluoride is also recharged every time you brush, helping you maintain stronger enamel many months after your initial treatment. Of course, they couldn’t call it Vanish XT if it didn’t last for several months at a time. That’s right; the varnish remains on your teeth for 3-6 months thanks to its moisture-tolerant properties, providing you reliable durability and regular fluoride release. While our practice believes you should eat sweet treats in careful moderation, we can’t blame you for wanting to eat a big bowl of ice cream in celebration of your treatment! Instead of being a statistic of teeth sensitivity, be the person who sought a better way to manage your problem once and for all! 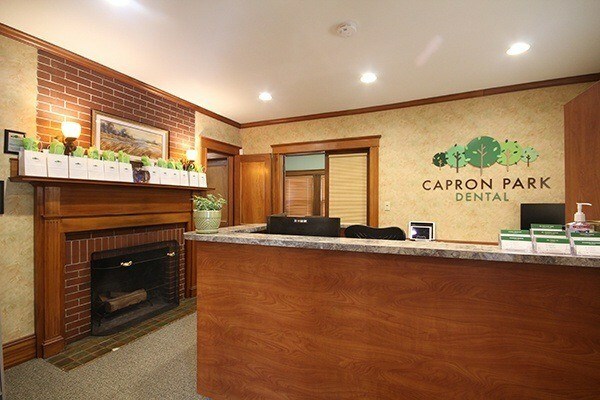 From everyone at Capron Park Dental, we can’t wait for you to meet Dr. Vo, take advantage of our new restorative treatment, and experience our expanded hours in the near future!